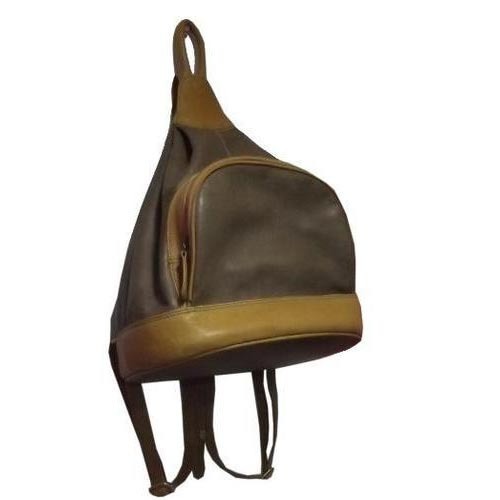 Owing to the presence of our expert team members, we have been able to offer a wide range of Ladies Leather Backpack. These exclusively designed bagpacks are admired for their appealing look, designer appearance and fine finish. Following the exact demands and requirements of clients, we offer these bagpacks in various range and models. These can be availed at market leading prices. We are looking query mainly from the Export market(i,e. Europe,United kingdom,Germany & Australia) . Being a reckoned organization in the industry, we admired by our clients and competitors for the productive management. At Goodwill Leather Art, we are into manufacturing, supplying and exporting a wide range of Ladies Purse, Ladies Handbag, Leather Handbag, Shoulder Strap Handbag, Men's Leather Bag, Leather Belt, Leather Purse, Leather Accessory, Men's Wallet, Leather Wallet, Ladies Wallet, Ladies Clutch, Shanti Purse, Ladies Leather Backpack and Leather Folder. To begin our journey to be an industry leader, our organization us established in the year 1991, in Kolkata, a city of historic significance in West Bengal in India. Our major export markets are Germany, Italy, Spain, France, UK and Netherlands. We have been able to extend our network and create a brand name and niche for our products. We are exporting 100% of our production and have an employee estimating around 51 to 100 people with us in our unit. Saying about the quality standard of our products, our organization is an ISO 9001:2008 Certified Company. We are looking query mainly from the Export market(i,e. Europe,United kingdom , Germany & Australia) .